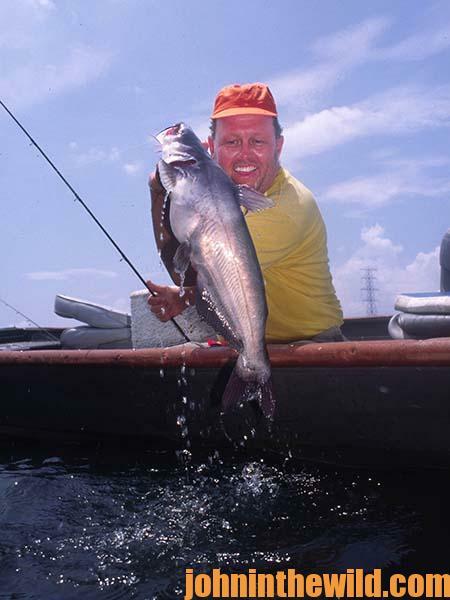 John’s Note: Ole Mr. Whiskers loves dam sites, but fooling him there can be maddening – unless you get in the groove. 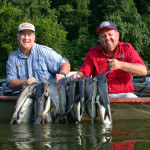 My fishing buddy and I were catching two to four catfish per hour. But the anglers in the nondescript, flat-bottomed johnboat across from us were taking a couple of cats every 5 to 10 minutes. Frustrated, I decided right then to solve the riddle of catching tailrace cats. 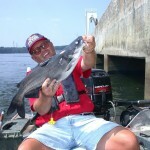 Later my fishing buddy Joe Price and I pulled in to the dock after fishing for tailrace catfish. I went to see the dock operator, Donnie Hill, told him what had happened and asked if he knew the answer to the tailrace cat riddle. Donnie was amused with my frustration and laughed as he asked, “You mean you can’t figure out that simple tactic?” “Okay, okay, I give up,” I responded. “I’ve been fooled all day, and I’m willing to beg for help.” “Well, you were fishing the right way,” Hill explained, “but in the wrong place.” “How could that be?” I questioned. 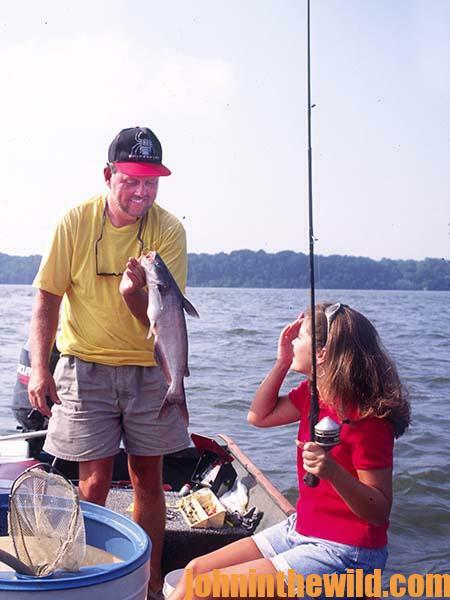 “We fished in the same spots the husband and wife team did.” “Yes, but you fished those places after they left,” Hill replied. 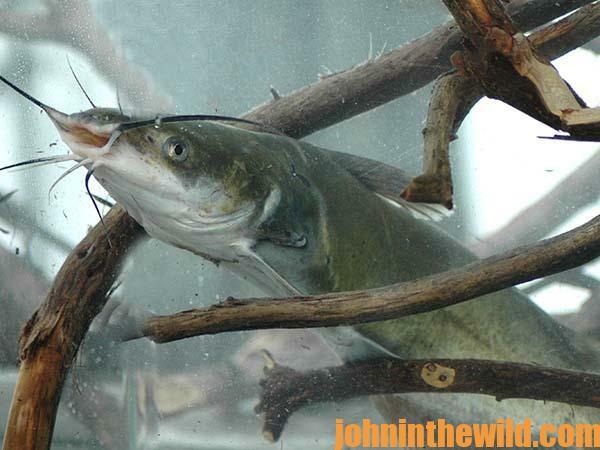 “When the Smiths moved, so had the catfish. You see, Mr. and Mrs. Smith have been fishing up here for years, and they know how to fish the grooves. Unless you understand where the grooves are, and how the surges from the turbines affect them, you can’t catch cats like the Smiths do. 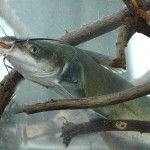 They usually take 100 pounds of catfish each day they fish from May through September. 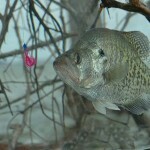 Using rods and reels, they often catch more than the commercial catfishermen.” “Okay, explain the grooves,” I said. “There’s one-more element to the solution,” Hill volunteered. “One type of groove is created by converging currents. 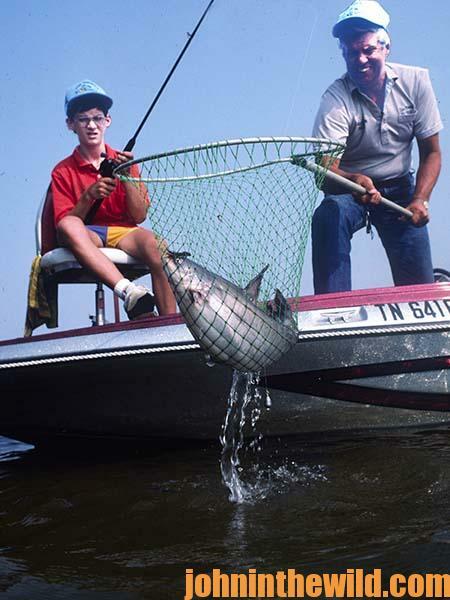 But there’s another kind that tailrace fishermen learn to find – a rock groove. To work the rock groove successfully, you need a quality depth finder. The bottom of most tailraces is rocky, not flat. And to locate the big rocks that the cats use for cover, you need a depth finder. Once you find the rocks, you have to try and remember where they’re situated.